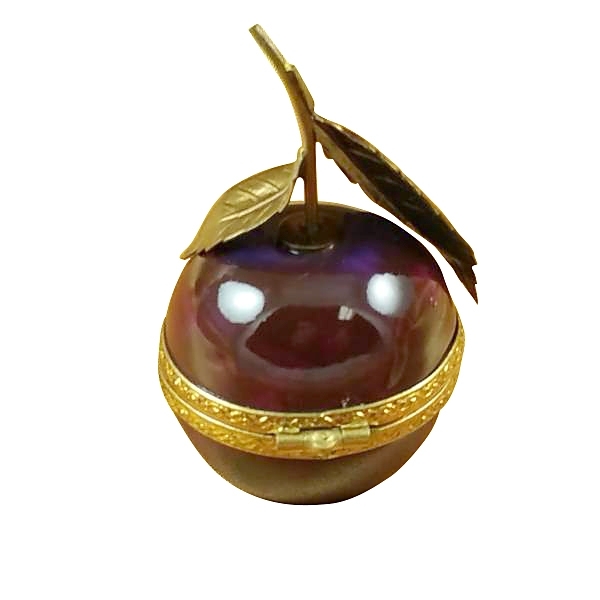 CHERRY W/BRASS STEM - Limoges Boxes and Figurines - Limoges Factory Co. 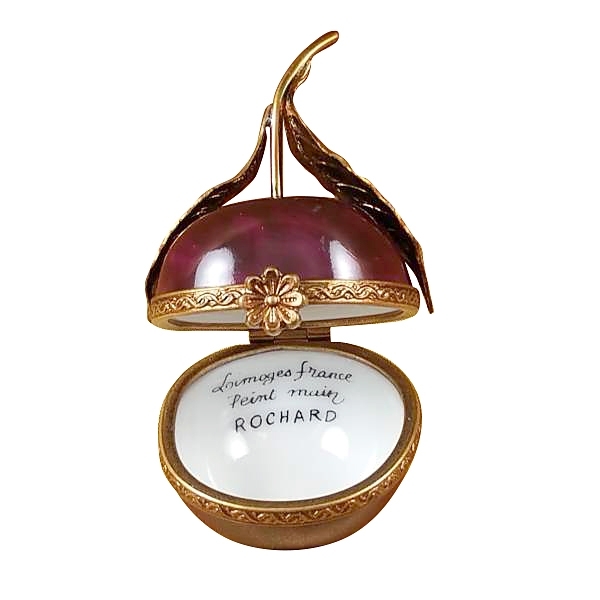 This is a marvellous looking Limoges box which is the replica of a waxy red cherry. 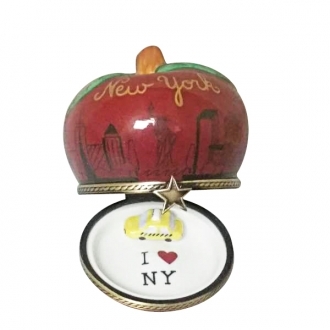 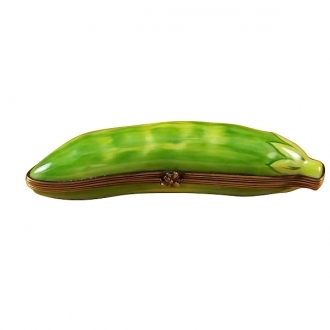 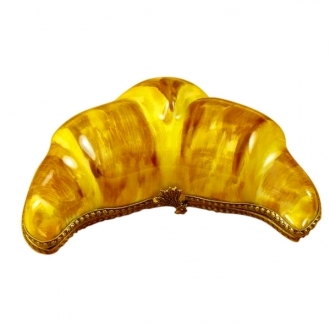 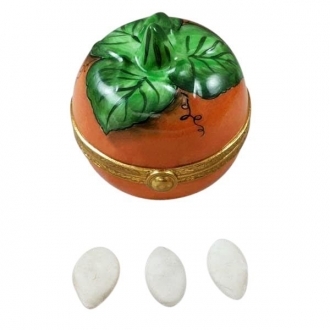 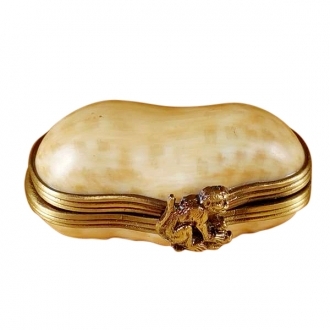 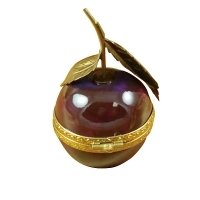 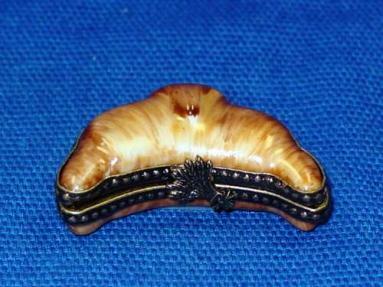 The Limoges trinket box opens at the middle of the fruit with ornate rims and clasp. 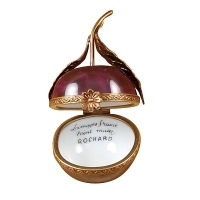 But the most stunning feature of the Limoges box is its brass stem and leaves. 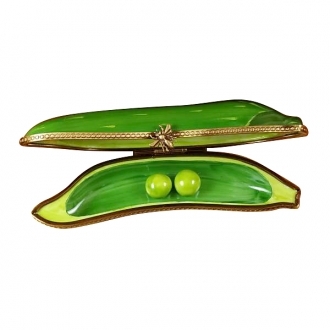 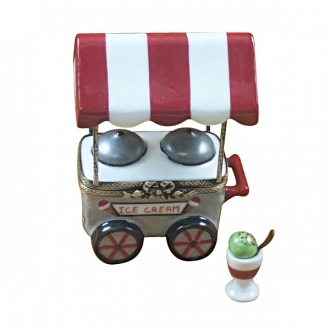 This feature makes this Limoges box an exquisite decor item and an excellent gift item.